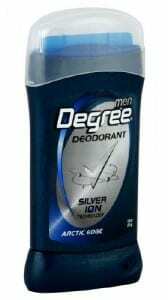 Right now, you can choose from 2 different deodorant coupons to save money on your purchase of Degree deodorant. Stores such as Target and Walmart sell Degree for $2.47, so with these coupons you will only pay $1.47! What a deal! You could also shop around to see if any other stores sell Degree for a lower cost. If they do, you will spend even less on your purchase!